The regular season is in the books and we have 12 teams remaining in the Southern Playoffs. Today we break down the first round match ups that will take place on the 5th August in Birmingham. How did their regular seasons go? 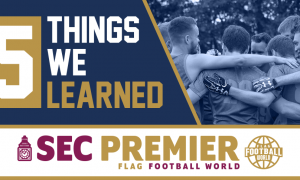 After an early season loss, the Cardiff Hurricanes ripped off 10 straight wins to take the SWC South crown, culminating in an impressive 31-7 thrashing of the previously unbeaten Birmingham Lions. While heartbreaking losses to the Northants Titans Blue & Merthyr Tydfil Thunderducks dropped Cardiff back to the #4 seed in the South, the 2014 National Champions have proven they will be a force in this year’s tournament. With an offense and defense that both rank in the top 5 nationally in total points, the Hurricanes are as well-rounded as any team in the UK. The West Essex Showboats have had a mixed season which saw them lead the SEC North for the majority of the season, only to drop after a defeat to the Aylesbury Vale Spartans in the penultimate game-week. This was followed by a forfeit on the final game day of the season to see the Showboats finish at 7-7. At full-strength, this is still a team to be reckoned with as evidenced by their run to the Southern Finals last year. With the news that this is the Showboats last hurrah, we would expect all of their big guns to come out for one final shot at BritBowl. Any players to look out for? Any Hurricane opponent will attest that you have to account for Joe Cotterill on every play. The Cardiff star has been battling injuries as of late but with elite playmaking ability on both sides of the ball, Cotterill’s value cannot be understated. Meanwhile, the Showboats will be hoping for excellence from their dynamic duo of Reiss Muckley and Sam Taylor. When those two perform, the Showboats are a match for any team in the country. Both teams are talented and experienced with something to prove. Cardiff will be looking bounce back from last year’s shocking first-round exit against the Aylesbury Vale Spartans while West Essex have no intention of making their final appearance one-and-done. The Showboats can cause problems, but I’ll give Cardiff the edge in this contest and see them moving on in a close 30-28 win. 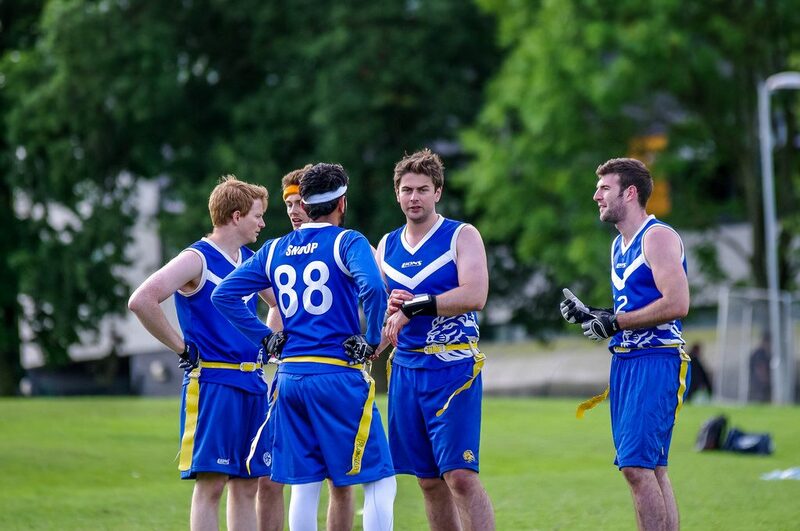 Another year, another playoff berth for the Chichester Sharks. 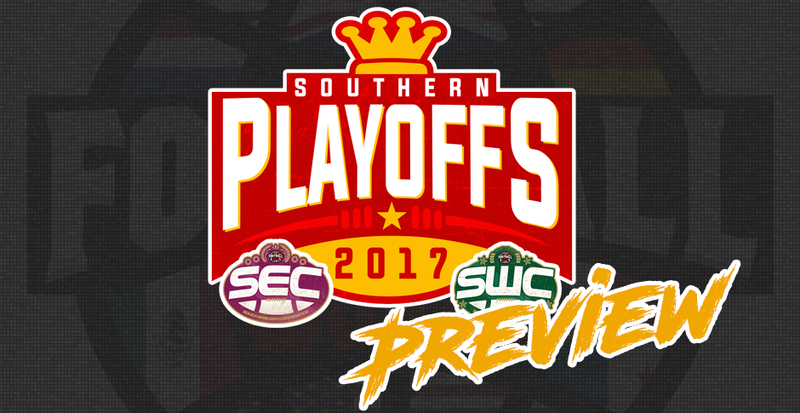 The SEC South champs season went largely as expected, handling everyone you’d expect them to while falling short against the pre-season BritBowl contenders. Due to forfeit wins on their final game day, they have only managed to play friendlies since late June but with their wealth of experience and leadership, we doubt that any rust sets in. 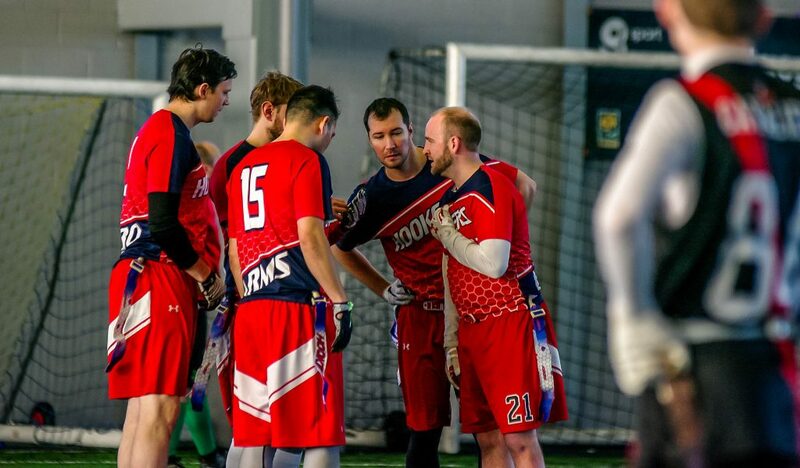 The Stampede enter the playoffs as perhaps the most intriguing team in the South. At 8-8 with a negative point-differential, Hereford are the lowest seed but are far from an easy out. Early season wins against the Northants Titans Blue and Cardiff Hurricanes demonstrate their ability to hang with the big boys. A lack of key players contributed to a disappointing midseason run but if they can turn up with a full squad, the Stampede could cause some serious upsets in the run up to Britbowl. Each team possess game-breaking wide receivers in Jay Jay Spencer and Corey Bedford. Spencer’s combination of size and speed is a nightmare matchup for any DB. The more elusive Bedford possesses elite leaping ability to account for his more diminutive stature. Both receivers are sure-handed and should see plenty of targets in this contest. Neil Henderson’s guile and experience will be invaluable on this day but the Stampede could cause the Sharks too many problems on defence with Steve Hall and Jay Jay Spencer linking up on multiple occasions. Stampede advance with a score of 24-20. The London Rebels look as sharp as ever despite coming out on the wrong side of two thrillers against the Baker Street Buttonhookers. Those were the only two blemishes on an otherwise dominant season. With talent, experience, and a title to defend, the Rebels are a team no one wants to see come playoff time. The Phantoms had another successful season in the SWC, posting a record of 11-4. Their impressive performance unfortunately gives them a more difficult first-round fixture than the other SWC runner-ups. Given that their four losses were to the three SWC division winners, we wonder if they can really hang with the elite. Fans of the underdog in this match up will be looking at what duo Luke Hoskin and Stuart Tarry can bring to the table. Both had successful seasons and will be Jeremy Smith’s top targets in the redzone. For the reigning Britbowl Champions, Richard Cooling will be one to watch in the secondary, as he’ll be looking to slow down the Phantoms offence. Kenny Bello is returning from injury just in time to give Calvin Tarlton his favourite weapon back. The Rebels will likely have too much for the Phantoms despite the absence of Bill Ammons and Akshay Singhal. Should the Phantoms keep it close in the first half, anything can happen but we expect a dominant 42-24 score line in favour of the reigning champions. The Aylesbury Vale Spartans are coming into the playoffs with a new-found confidence after earning their first ever SEC North divisional title. A final game day saw the Spartans run both the Buttonhookers and Rebels close to put the top teams on notice. They’ll be looking to keep that momentum as they head into their match up with a young Cougars side. The Coventry Cougars Mixed squad have had an up and down season reflective of both their youth and talent. 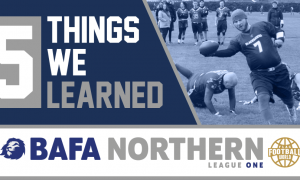 They’ve run the Birmingham Lions close while picking up impressive victories against Northants Titans Blue and of course, the Copenhagen Barbarians at Big Bowl. At the same time, they’ve had some head-scratching losses to the Exeter Falcons, Northants Titans White & Plymouth Buccaneers. For better or for worse, they have continuously played up or down to their level of competition. The addition of Danny Caballero has helped the Cougars on both sides of the ball. Throwing him into the mix with the blistering Kieran Eaton and Sam Finnie, now gives James Ashmore three athletic weapons to choose from. The Spartans are no slouches boasting GB-level talent in Jeff Bond and Dan Benning. There will be more speed on the field here than in any other first-round matchup. Aylesbury will be hoping to cause some upsets like 2016 when they knocked off the Cardiff Hurricanes in an overtime period. If the Spartans grab an early lead, they could run away with this one as immaturity is a common trait in any younger side. However, we think the Cougars will start fast and just edge them in a close battle with a score of 32-26. The Cougars showed at Big Bowl XI that they’re a tricky proposition for any team. The Northants Titans Blue have established themselves as a true SWC power, going 12-3 en route to their second division title. Losses against the playoff-bound Coventry Cougars Mixed, Hereford Stampede and Birmingham Lions call into question how deep they can advance against a strong field. However, the double over the Northants Phantoms and a last second win against the Cardiff Hurricanes showed that they can perform when the lights are brightest. The Reading Lions had some mixed fortunes after having to controversially forfeit their first three games of the season. 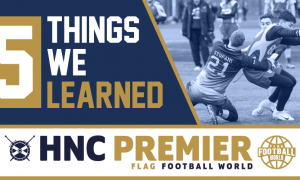 They bounced back from this to put up solid victories against the Chichester Sharks and a Vince Machi-less Buttonhookers, but losses to the Victoria Park Panthers and Aylesbury Vale Spartans showed that the Lions are a mixed bag entering the playoffs. Finishing at 8-6 on the season despite the forfeit losses, Reading are possibly the most under-seeded team in the field. Missing their top three QBs, the Titans Blue will be looking to their defence to carry the day with SWC Defensive Players of the Year Connor Melay & Harry Brailey aiming to slow down the Reading offence. This will be no easy task as Nick Schippers and Dom Howard have been linking up for years and can score from anywhere. At full strength, you would probably give the Titans the advantage. However, without any experienced QBs, they face an uphill battle against the talented Lions. We expect Reading to progress 26-18. The Lions enter the playoffs as top seeds with a 14-1 record. It looked like they’d squandered their chance to host after a loss to the Hurricanes, but they earned the responsibility in the end. The Lions have returned after a brief “hiatus” as the powerhouse they were before. They’ve stormed through their schedule, despite looking somewhat shaky at NuOla Spring Shield. They boast arguably the best QB in the UK in Tristan Varney. Tristan understands the game and can zip the ball around the pitch, especially to stud WR Drew Newiss, who snagged a ridiculous 35 TDs this year. Their Britbowl victory two years ago was a showcase for Tristan, who routinely threaded the ball into narrow windows to his talented supporting cast. He has to be efficient though, as the Lions have statistically one of the leakier defences of the top teams in the league. They rely more on their chances in a straight up shoot-out than trying to get involved in a defensive slug-fest. Of their defensive players, the blitzing of Atsuki Kuramochi is their main source of success, as he has 10 sacks and 2 safeties this year. Birmingham may be delighted to be top seed, but their chances of being pitted against their only bogey team this season are fairly high, as the Hurricanes will likely wind up as the lowest remaining seed provided the excellent Rebels run the table also. This “rookie” outfit have been a tremendous addition to the league, adding some much appreciated competition to the SEC and ended up top seed from the conference in their first year. A 13-1 record, with a solitary loss against the Lions, was enough to win the toughest division in the league. The loss against the Reading Lions might have cost the Buttonhookers home-field advantage and raised some eyebrows around the league, but the ‘Hookers were without a number of key contributors, including QB Vince Machi, so the outcome was not entirely unexpected. Aside from that minor blip, it’s been a roaring success of a season for the Buttonhookers. They went 2-0 in their highly anticipated matchups with the London Rebels, with both games coming right down to the very last possession. Their offence has the ability to hurt you in a number of different ways, as Carl Szabo, Steve Mongey and Casey Fitzsimmons all have double figures for TD receptions this year. The play of Josh Nicholson and Bobby Centlivre has been the highlight of a solid defence, but similar to the Lions, the Buttonhookers rely more on their explosive offence than focusing on trying to shut their opponents out. They’re probably looking at a third match against the Rebels, which could go either way. With a full compliment of receivers and defensive players, the Buttonhookers should stay the course and advance to the Britbowl semi-final.